A blog beauty makeup, skincare, fashion all things beautiful! 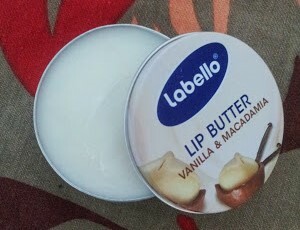 If there's one thing which I will carry with me like a beauty secret all this winter, it has to be Labello Lip Butter. 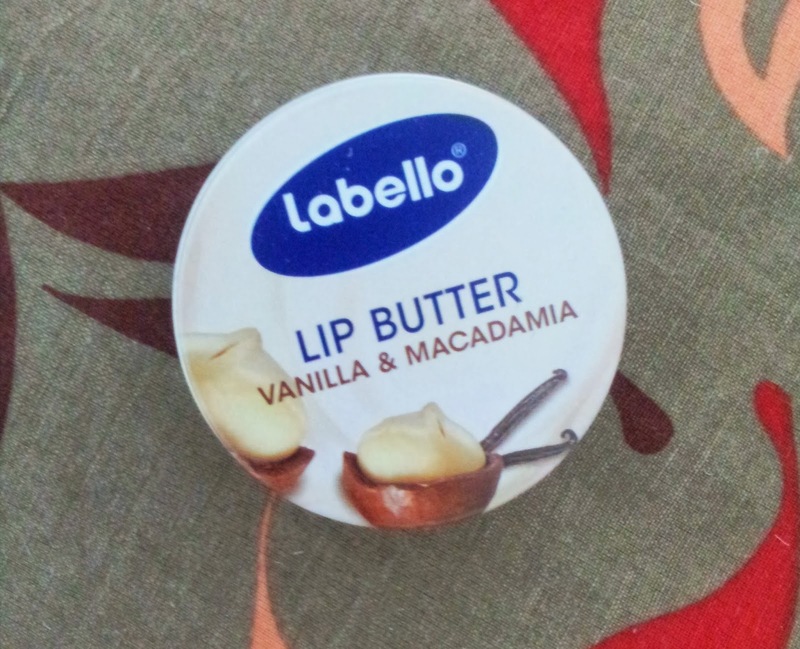 This delicious Lip Butter comes in a 16.7 grams lil, flat jar like packing. Although I don't like the idea of dipping my fingers into the product each time I have to use it but secretly I like the handy, cute and sleek packaging. I haven't always been lucky when it comes to lip care products. I have tried an array of lip balms/butters blah blah blah but never will I find a product which will keep my lips moisturized and flake free. One thing noteworthy is that after applying it on my lips for 3 days in the mornings and evenings, I didn't have to scrub my lips on the 4th day as lip scrubbing is my daily ritual for my prone to dryness lips. Its smells faintly of creamy vanilla but the smell doesn't linger on which is good. Overall, I am very happy with the product and as I said earlier, it is now one of my new go-to accessories for winters and I am definitely gonna try it in other flavors. Have you tried any of Labello's products? What your say? Hit back with a comment. Deodorants are my go-to accessory. I keep trying various brands and ranges be it roll-ons or spray deos. I received these deos by Olor and I'm pretty content I found this brand. 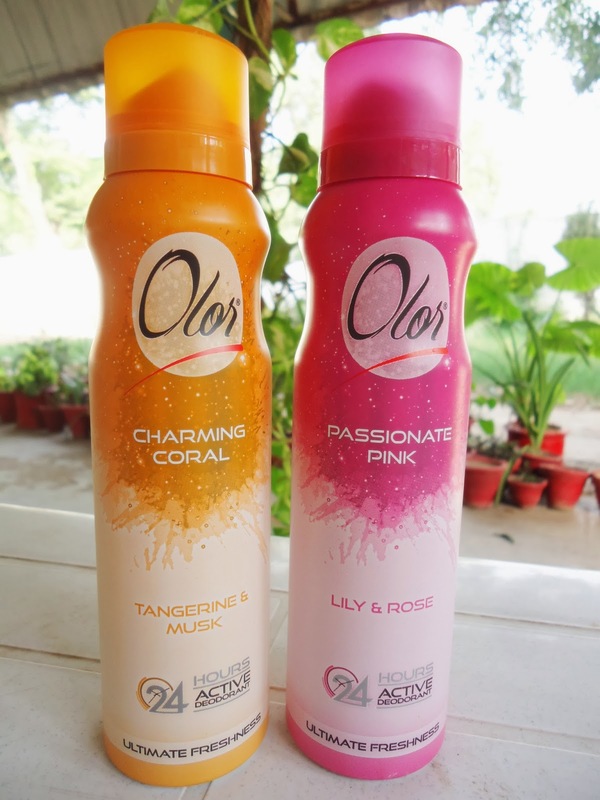 Olor is a Norwegian Deodorant brand which has recently introduced its products in Pakistan. Charming Coral is a delicious blend of citrussy-musky. It is warm and sensual and lasted for around 7-8 hours on me. Both these things would make it my pick for winters. Yes! I wear deos in winters too. Passionate Pink is more feminine and floral yet stronger than Charming Coral. Upon first smelling, it smells rather sweet but upon applying it tones down. It lasted for the whole day on me and that would make it a perfect choice for summers. Over all, these deodorants are good quality, long lasting and refreshing with an affordable price tag of PKR 195. They come in 6 different fragrances and are available across the country. P.S: The product was sent for review purpose but it hasn't affected my opinion. I wasn't paid for this review. All you beautiful people out there........!! These Exfoliating Bath Gloves increase the lather of your body wash and whisk away dead skin cells. These gloves are probably the most raved product of TBS for all the right reasons. They seem a lil' too harsh for bath gloves when you hold them for the first time. The deal is to hold them under the water for a minute or two, squeeze' em cute gloves and viola! they turn super soft. TBS website says it increases the lather of your body wash....., I didn't find it to be true. I used it with numerous body washes and shower gels but they lathered much less on the gloves than my usual loofah. I didn't find the gloves abrasive on my skin but given the fact that my body skin is not very sensitive, I'd suggest you to be careful if you know yours is. On a side note, any exfoliating product will be harsh on you if you're an over-enthusiastic scrubber. Just apply the right amount of pressure while scrubbing your body and I guess, you'll be fine. TBS recommends using it 2-3 times a week and I agree. As we know, exfoliation sloughs off those dead cells, brightens the skin and makes the skin tone even but over-exfoliation can scar and damage the skin so 2-3 times a week is fair enough.. and remember! keep it gentle. I read many reviews where people used these bath gloves with body scrubs and TBS website recommends that too for extra exfoliation. I prefer regular exfoliation over extra exfoliation. Since I started using them in summer, I didn't find'em drying but I was careful to apply a light moisturizer after use, as any form of exfoliation dries out the skin. I guess I'll need a heavy body cream in winters though. 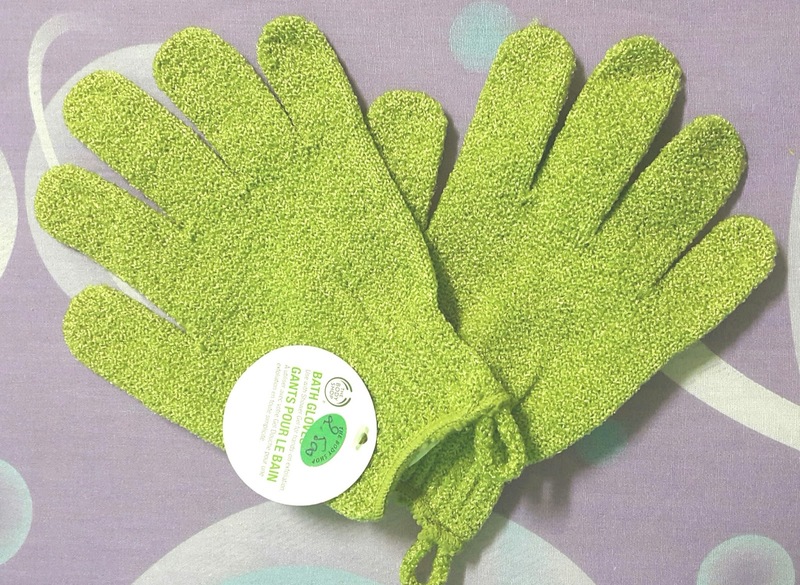 After using the gloves a couple of times, I found by skin to be much brighter and oh-so-soft!! I am in love with these bath gloves and I see myself using them forever, unless I find something better. (I doubt that.. ;)) I think these gloves are worth every penny! They're available in various colors depending upon where you're located on the globe. I bought them in Oman and had to choose from blue, green, red, pink, white and lilac but I checked TBS websites from different countries and found various color options. As the world and blogosphere is taken by storm by the Moroccan Argan Oil, how could I escape? I bought this huge 700 ml bottle from my colleague who is also an Avon representative. Here is my experience.. Starting with the packing, its a usual flip top bottle. the product is neither runny nor thick and yeah! it smells sooooo good. So, to cut the long story short.. I was expecting too much from the shampoo. I couldn't get the conditioner as it was out of stock. Coming to the performance.. I was kinda disappointed. I used it without the conditioner to check the performance but my hair felt greasy just after one day. I also felt that my hair was frizzier and fall out was more than normal. Later, I used it with my regular conditioner. This time my hair felt a bit better but was frizzy, kinda dull and falling out as usual. I used it for over two weeks but the result was all the same. Just for record, I have got normal hair which turn oily on the 3rd/4th day of shampoo. One more thing, it doesn't lather well and you don't get that cleaaaaan feeling after you shampoo. Regarding their shipment and service, It was very good!! The order reached us in 22 days; safely packed in the packaging you can see above. I am excited to post my first ever BB Cream review.. yeah! the very first but hey! better late than never. Under the spotlight is The Body Shop all ine one BB cream. I am the kind of person who tends to form the first impression on packaging and general sheen and shine of the packaging andlick silver here, I was expecting too much from this sleek silver tube! It smells of rose when applied and the smell is too strong but it doesn't linger on and dies within half an hour of applying. The consistency is neither thick nor thin. Upon opening you find this mud colored cream with tiny buds which look like exfoliating beads but these are infact color adjusting particles. This cream adjusts itself flawlessly on your skin. My hands skin is a lil darker than my face skin and I tried it on both. It passed the test of color adjustment..
Coming to coverage: Its very low coverage. Its not even sheer rather its zero coverage. It would give you the kinda dewy finished look which you can get with any good tinted moisturizer. It claims to be moisturizing which it is but that's not what you apply a BB cream for! I applied it on my face during the days when my face was an oil rig and it neither made it oilier not had any mattifying effect. After applying it for over 8 hours, I didn't get any breakouts. Coming to my biggest turn-off it DOES NOT have SPF! Yes! this is the department where I would fail it as a BB cream! Did you try this BB Cream? What was your experience? Which BB Cream is your favorite one?